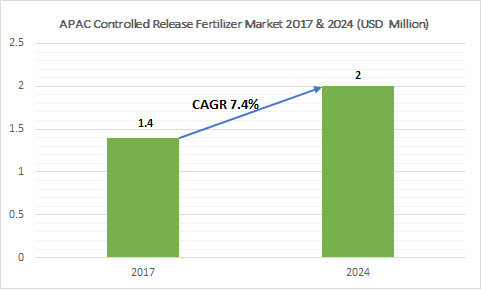 Asia Pacific Controlled Release Fertilizer Market size exceeded USD $1.4 million in 2017, with projected gains close to 7.4% CAGR between 2018 and 2024. Controlled release fertilizers are granulated fertilizers which have the capability to release the nutrients into the soil gradually. As these fertilizers are non-soluble in water, their nutrients will release very slowly into the soil, and provide effective nutritional support to the plants. Rapid population growth in some countries of Asia Pacific will rise food requirements, which will exponentially raise the arable land requirements, which in turn will drive the Asia Pacific controlled release fertilizer market over the forecast period. As many countries in this region are based on agriculture, the demand for controlled release fertilizers will be significantly high in nations such as India, Japan, and China etc. Moreover, rising shortages of food-based crops is creating an additional demand for good-quality fertilizers, thereby attributing to the growing demand of controlled release fertilizers in this region. Polymer sulfur coated urea fertilizers will hold the dominating share of Asia Pacific controlled release fertilizer market, owing to essentiality for crops in this region. Polymer coated urea fertilizers had a share of over 23% in 2017 and will grow significantly in the entire forecast period. 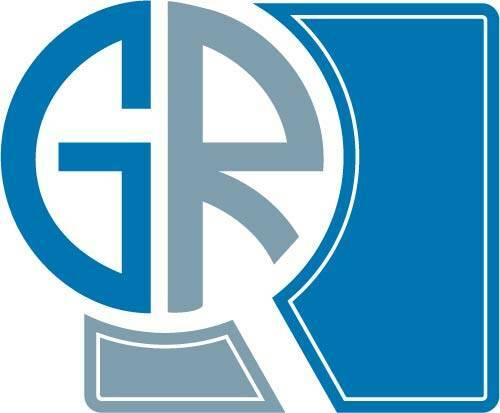 Cereals & grains crop segment will consume major share of Asia Pacific controlled release fertilizer market volume throughout the projected period. Many countries in this region such as India, Japan, China, etc. are majorly dependent on cereals & grains crops. The demand will further have attributed, owing to the rising food requirements in this region. Rising arable land requirements, coupled with rising awareness regarding sustainable farming techniques to increase the food production would significantly drive the China controlled release fertilizer market throughout the forecast period. The regional market in Japan had a significant market share in 2017, and this will grow on a notable CAGR over the coming years. Some of the key companies in Asia Pacific controlled release fertilizer market include AgroBridge, HIF Tech Sdn Bhd, Greenfeed Agro Sdn Bhd, and Nufarm Ltd, among others.